With everything being processed electronically these days applying for jobs requires a simple email, an attached resume and the click of the send button. Since you are sending your resume to a potential employer through the inner workings of the Internet there is no longer a reason to actually print out your resume, right? Below we have compiled three reasons on why you still need to print out your resume and why just submitting a digital copy isn’t enough. We all know it is important to edit your resume. Of course we have spell check, which can get your resume close to flawless, but it doesn’t always catch everything. 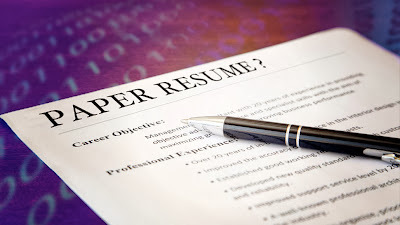 Printing out a rough draft of your resume is a great practice for catching errors on your resume. Sometimes after starring at a screen for a long period of time it is hard to notice an obvious error. By printing out your resume you are allowing yourself to look at it from another angle. Even though you are submitting your resume electronically chances are high that whoever is handling the hiring process will print out your resume. They will want to have a copy in front of them to reference during your interview. They may also be looking into your computer skill set. If the resume you submitted prints out a jumbled up mess then they will probably question your ability to complete basic computer task. After you print out your resume and you are happy with how it looks, make sure you save it as a PDF and submit that copy to the hiring manager. A PDF is a type of file that looks the same on all operating systems and will ensure that your resume doesn’t look funky in another program or computer. Speaking of the interview, it is always a great idea to bring multiple printed copies of your resume to the interview. Having a copy of your own resume in front of you helps you to look prepared. An extra copy comes into play if someone joins the interview who wasn’t planning to. Often times the hiring manager will pull in another employee for a second opinion. They might not have seen your resume and your ability to provide them with a copy of your resume on the spot speaks volumes about your organizational skills. Go ahead and embrace technology! Use it to create amazing resumes, just remember to still print. Not sure what type of paper or ink to use when printing? Don’t worry we have you covered there as well. Next week we will be writing about materials that will make your resume look professional and eye catching. Have a resume design you are proud of? Submit it to us and we might feature it in an upcoming post!